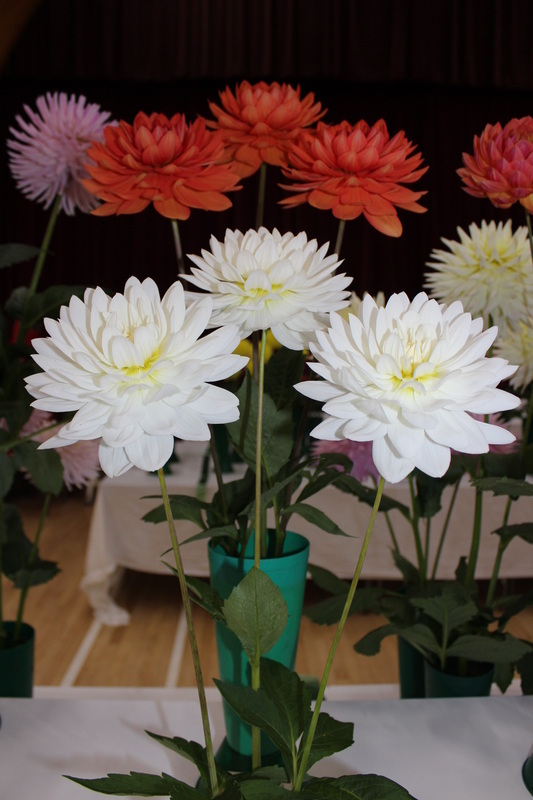 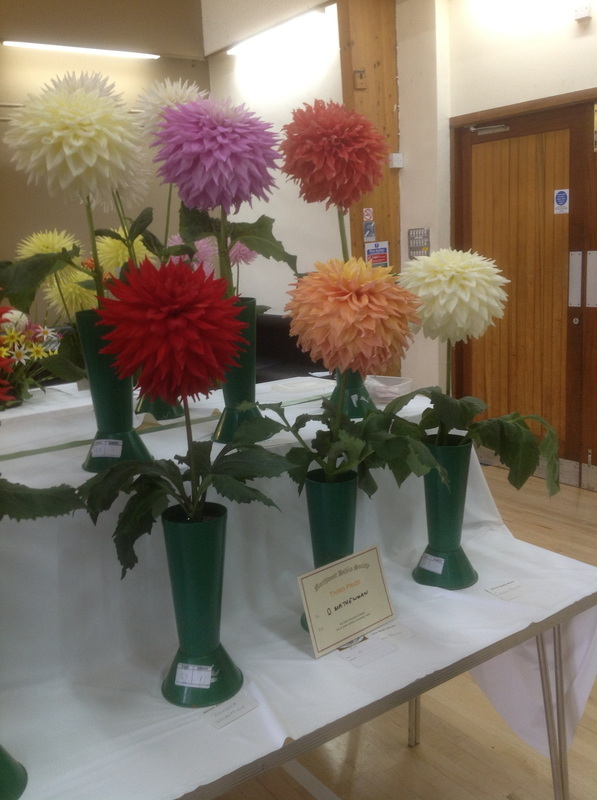 The 45th annual North West Dahlia Society show was held on September 28 at our new venue of Ingleton. 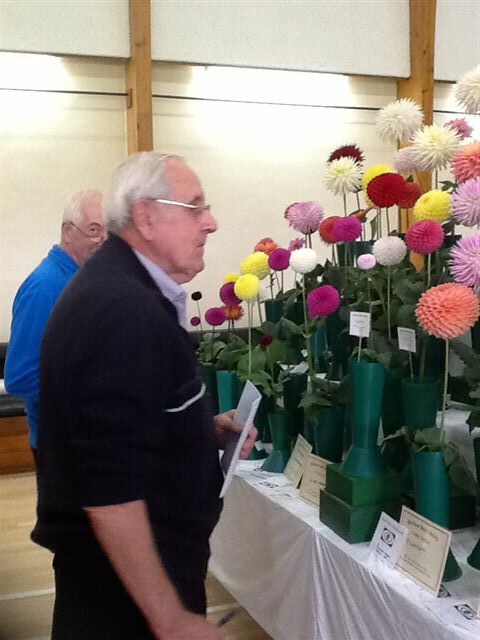 It proved to be a great success with positive feedback from everyone involved. 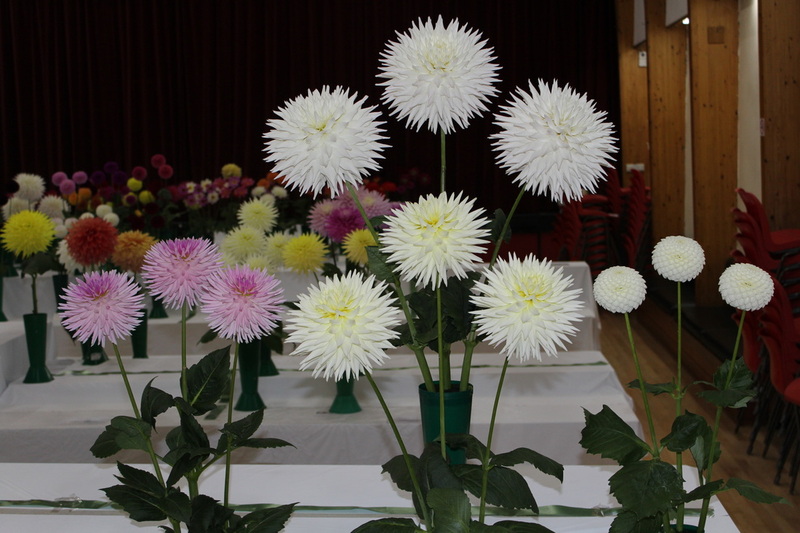 Thankyou to all the committee who worked very hard - non-harder than our President George Towler, who kept going all night [What a trooper!]. 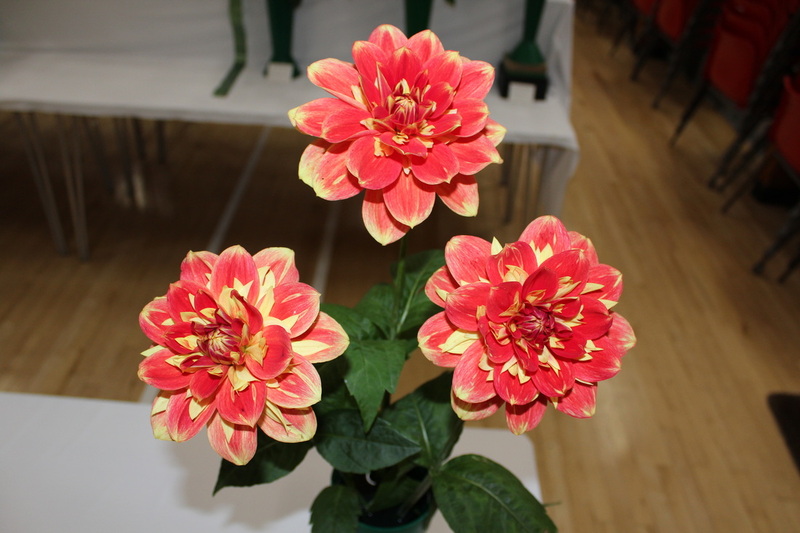 Also thanks to our judges Ian Sutherland, Ian Hill, Stuart Clensey and Jimmy Jones for doing an excellent job and a special thankyou to David and Pauline Matthewman for working tirelessly throughout the day. 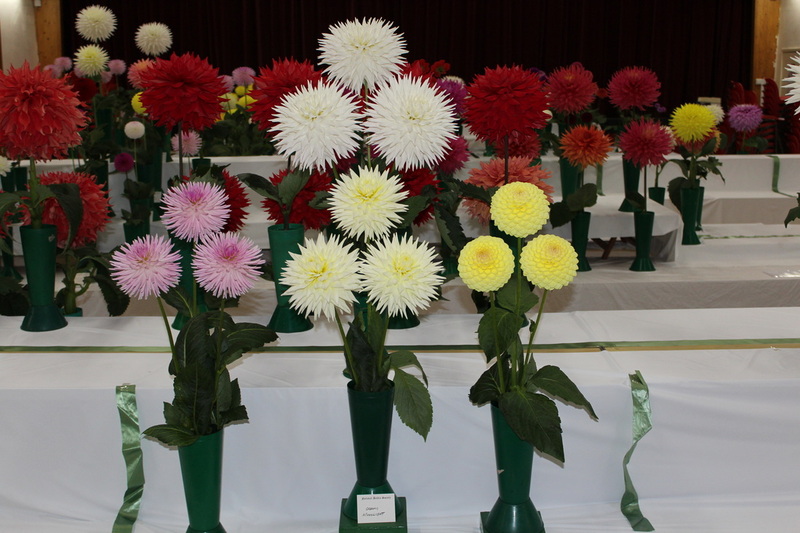 The President's Trophy was picked up by Graham Macfarlane, while John Jack had a successful trip down from Scotland by picking up the Cheetham Cup for the best giant in the show. 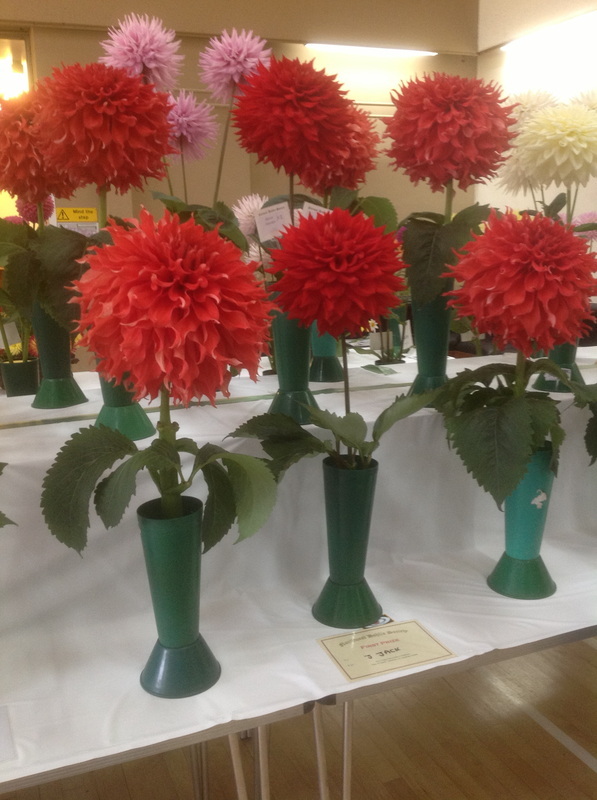 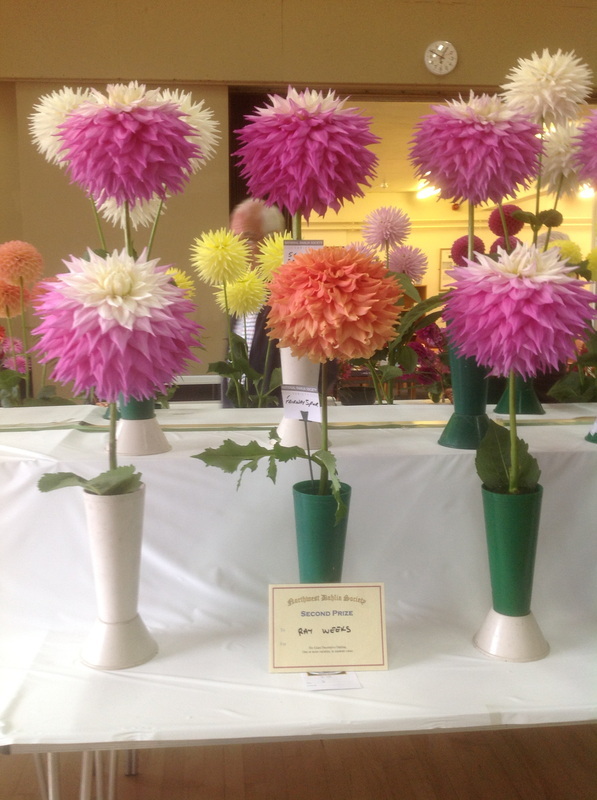 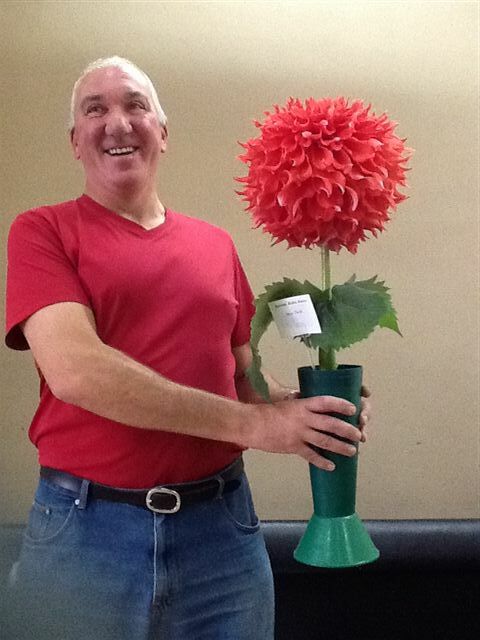 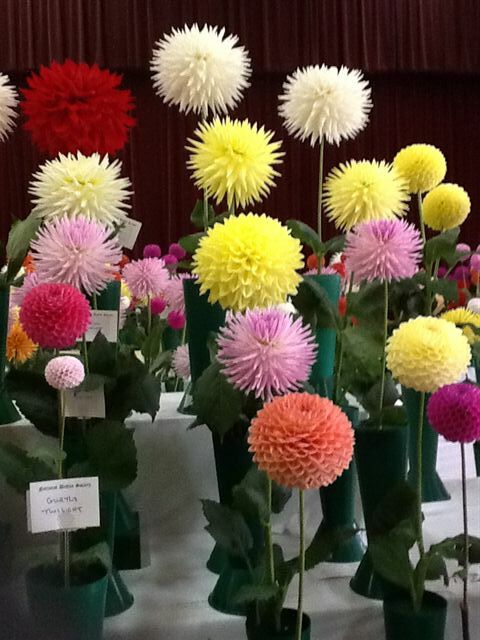 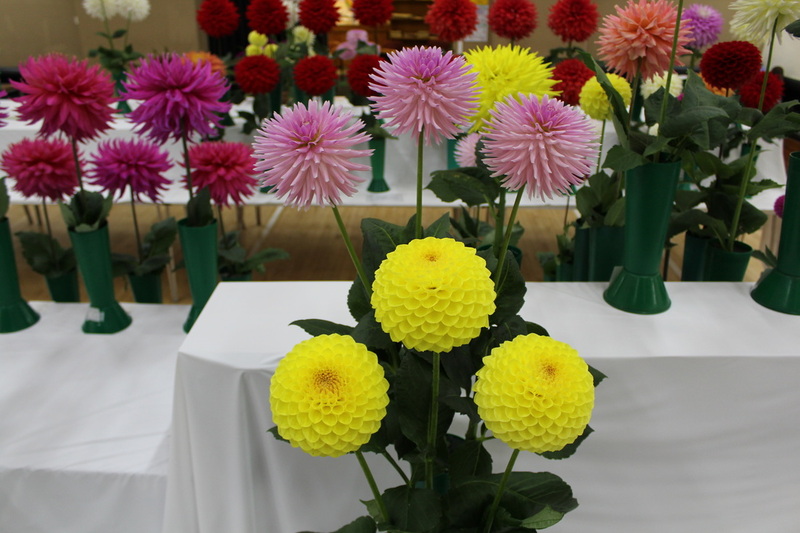 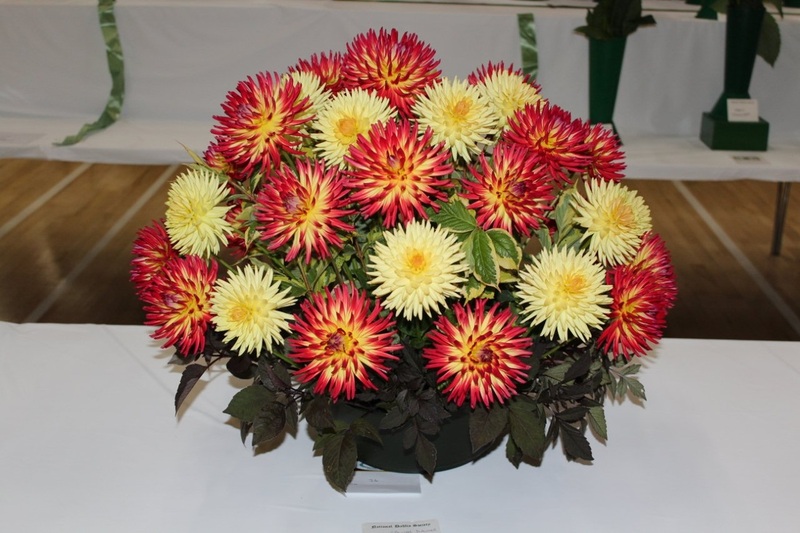 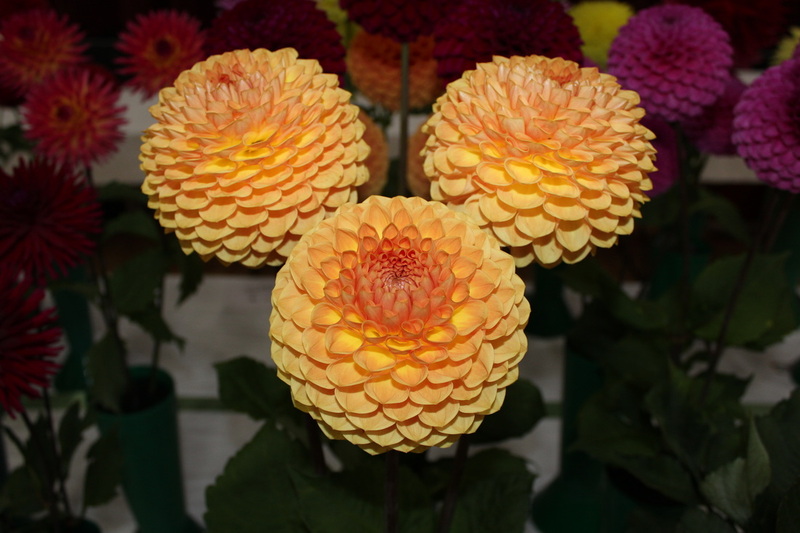 Results from the 2013 North West Dahlia Society show at Ingleton can be found below.